We have put a lot of time and effort into our dive shop directory and wanted to let you know all about the goodies that it brings to your business. We have been rather busy over the last weekends and managed to push out new features. 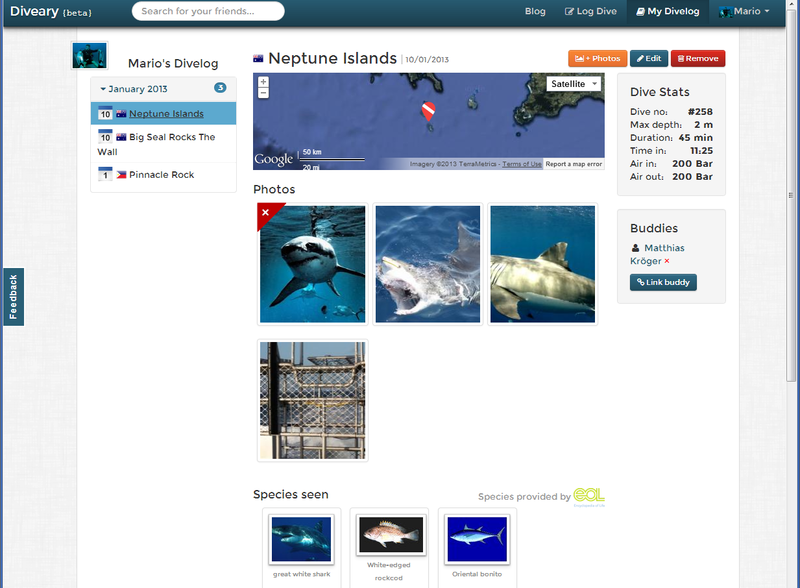 Dive shops can now claim a business and manage their own content on Diveary. This is great for SEO, supports a dive shop's business and helps new dive shops to attract scuba divers. This is currently in beta testing and only selected shops have access to this feature to make sure things work properly before we inform "the whole world". This upgrade will allow shops to maintain their staff lists, upload pictures, learn about their visitors on Diveary and how many people have logged dives with them. 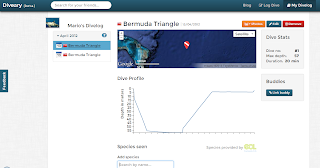 Furthermore, these dive shops can update contact details and their latitude and longitude to display them nicely on their Diveary profile page. they pushed out some good new features. While Mario is doing a bad job in Koh Tao (Apparently he is to shy to walk into shops with a little flyer about Diveary), Victor and Jiangti came up with some pretty cool features. Whenever someone follows you or logs you as a buddy in a dive, you will be notified. So you don't really have to look for the activities you are involved in on your Diveary homepage. Now this is one of our favourites. Whenever someone published a dive you were part of, you now have the opportunity to copy that dive over to your logbook. Meaning less logging work for you, since you might have seen the same critters at the same spot anyway. You only have to adjust your personal notes, your air consumption, weights and so on. we were able to fix most of the issues that came up during our first week. We are now working on some more features. We had some issues, sending out Emails, they went all straight to the spam folder. 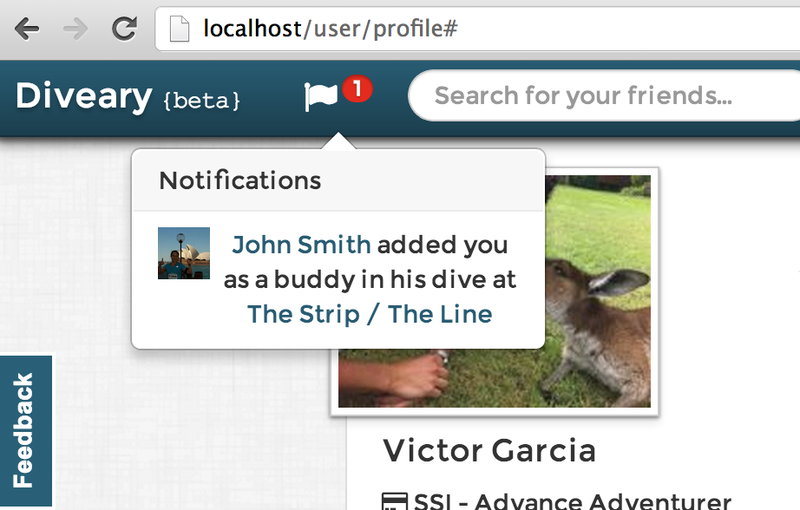 We integrated an email gateway to make sure we reach our buddies when we tag them in a dive. This is still work in progress, but we are close to drown the spam filters. 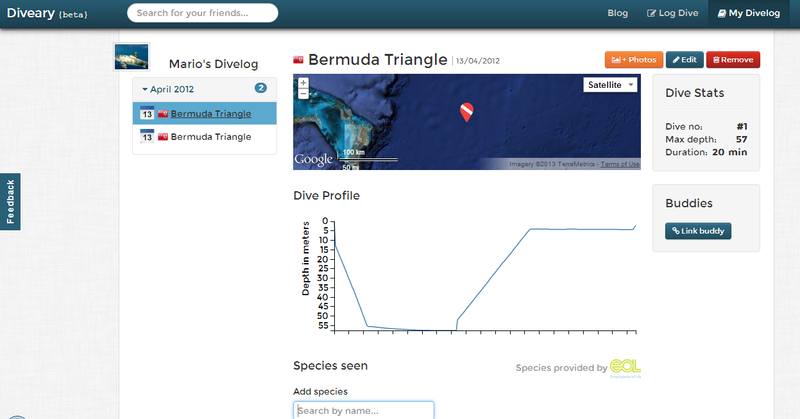 This is a feature soon to be released, we want to know if someone tags us in a dive or follows our deep water activities. Some of us have dive computers and hell yeah we don't want to type in every single dive we did, since it's given in a nice digital format already. This will hopefully be finished early next week and looks good so far. It comes with a fancy little graph which then shows your exact dive profile. We are damn proud to announce the release of our first beta version of Diveary. A beta Version (for the non-nerd) is a version that might have some errors. So don’t get mad at us in case you discover something we have overseen, but we would love you to send us a little message about it. Just use contact@diveary.com and we will get our hands on it straight away. ... would be a professional or a political excuse for not delivering Diveary as promised last year. The truth is, that most of us have been on Christmas holidays, back home or on a road trip in Australia and haven't really had time for our precious project. We have collected content though and we can already post this content on Diveary. Victor and Jiangti are now on fire in regards of programming. Mario is on fire too, but more in a "bush fire" kind of sense. He is making his way to through the desert from Sydney to Port Lincoln to see one of his favourite sharks. Mario, Jiangti and me have been busy this week putting some hard work on Diveary. Our beta version is coming together nicely and we can't wait to show it to you! Our goal is to make Diveary one of the better scuba diving sites for you to enjoy and while we have some cool ideas that we are implementing, we would love to hear from you! We have prepared a simple form where you will be able to rate a set of features based on how important they are for you and also, you will get a chance to propose things that you would like to be present on Diveary. It would mean a lot to us if you could spend 5 minutes of your time and help us with your opinions. If you would like to participate, you can do it here. In 2008 a guy was caught in a tough situation. He was stuck on a Caribbean Island and forced to go diving everyday. This unavoidable activity allowed him to come up with the idea of Diveary. His inspiration remained dormant until he jumped on a motorbike and travelled around Australia. Diveary (a "dive diary") materialized into a concept while he drove, and Mario found himself with something to act on. While Mario was riding and diving around Australia his two mates from Sydney - Jiangti and Victor - took on the physical work and got their hands dirty with some nerdy coding stuff. Since then we have all reunited in Sydney again, and a bunch of really good competitors are out there now, we’ve stuck our heads together ,(again), and have tried to build a web site that has more to offer than the other dive log sites out there. Victor and Mario are passionate divers and Jiangti doesn't hate water but he is a big fan of the surface. We came up with some pretty wicked ideas (so our wives say) and hope to be able to offer our diving buddies, ourselves and maybe even you an exciting way to enjoy a dive even more. Something we are looking forward to most is the Fun Factor created by achievements. The "I lost my buddy badge" is hopefully not the most popular one. Currently you can only sign up under http://diveary.com but we want to show our first version by the end of November.